StoreMe’s mobile application enables on-demand luggage and bag storage in city retail stores. Our mission is to be the leader in hourly or daily storage by connecting people looking to store with retail stores willing to provide safe and secure storage. We are on our way to raising our target goal of $1.2M. 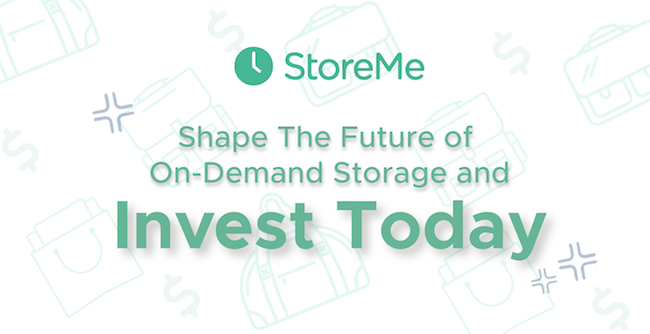 Be a part of StoreMe’s success and help shape the future of on-demand storage. INVEST IN THE FUTURE OF ON-DEMAND STORAGE TODAY!